Earlier this year, Ivanka Trump asked her rabbi to offer a benediction at the Republican National Convention before her father accepted the Republican nomination. Rabbi Haskel Lookstein, undoubtedly honored to be asked, quickly accepted the invitation only to later withdraw from the speaking engagement following an outpouring of anger from his Upper East Side New York Jewish community. Many of his former students and members of his Orthodox congregation were outraged that their rabbi would venture into a very political role and show honor to such a divisive candidate. Despite my support of Donald Trump’s opponent and my concern with the way the Republican nominee was running his campaign, I felt that Rabbi Lookstein was on solid ground in accepting the honor and should have rebuffed the criticism. Separation of Church and State is an often misunderstood concept in our nation. Rabbis, like other clergy, are very much involved in politics. We have the moral imperative to speak our minds on the important topics of the day. I looked forward to Rabbi Lookstein’s wise words of Torah at the GOP convention and was disappointed he opted to extricate himself from the event. 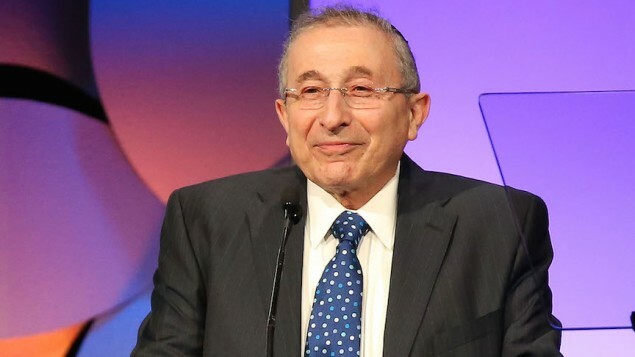 Rabbi Marvin Hier has now come into the public spotlight, having been asked to offer blessings for President Trump and Vice President-elect Pence at the inauguration on January 20. My position regarding Rabbi Hier’s role at the inauguration is diametrically different. Rabbi Hier runs the Museum of Tolerance in Los Angeles. This institution, which I have visited several times, has as its central mission “to confront all forms of prejudice and discrimination in our world today.” The museum educates young people and challenges everyone to create change by erasing bigotry and discrimination. Trump’s entire presidential campaign encouraged the opposite. He denigrated immigrants, mocked the disabled and disrespected women. Rabbi Hier’s institution draws its vision from noted Holocaust survivor and theologian Simon Wiesenthal. This great man must be rolling in his grave knowing that the dean and founder of the center that bears his name will be bestowing a blessing on a man who bolstered his presidential campaign by genuflecting to the alt-right—a group that includes neo-Nazis and Holocaust-deniers. That Rabbi Hier would stand on such a public stage in front of the world and offer a blessing for a man who refused to distance himself from David Duke, a former Grand Wizard of the Ku Klux Klan, is completely anathema to his life’s work. By refusing this role, Rabbi Hier would be making a loud statement in defiance of prejudice and hate. He has the opportunity to proclaim to the world what his institution stands for and why he has staked his entire professional life on the legacy of Mr. Wiesenthal. As a rabbi, I ordinarily find it uncouth to publicly criticize a colleague for accepting an engagement such as this, regardless of political viewpoint. In the case of Rabbi Hier offering a blessing for President Trump, I’m deeply concerned about the message it will send to the world. A man in Rabbi Hier’s position must condemn hatred and bigotry, not condone it through blessing. In any other instance, it would be a significant honor to serve as the rabbi at a presidential inauguration, but the consequences this time are too significant. Rabbi Hier: Don’t spoil your legacy. This blog was very, very well-written and I fully agree with you regarding Rabbi Hier. I wonder if any major contributors to the museum have voiced their dissatisfaction with him for accepting the invitation. I am very concerned with this nation's future with Trump at the helm. Admittedly there is no "perfect" candidate but what concerns me deeply is that he has no filter and from what I can see there is no one who can control him. I truly don't even think his daughter or son in law can control his tongue.